We found this gem when searching in the usually quiet period between Christmas and New Year – which just goes to show that there really is no bad time to look for property. Complete with attached cottage, stable block, vast cellar which stretches beneath the courtyard as well as the house and river views, this house has so much to offer. Although it’s ready to move into, there are some improvements needed to the electrics and also some alterations that my client wants to make. So, following several weeks of increasingly complicated phone calls and emails, Monday afternoon sees us arriving at the house complete with local builder (artisan No 1). The electrician (artisan No 2) is due 30 minutes later. Fast forward half an hour or so and the house now contains: ourselves, the ever -smiling French estate agent, the client -complete with tape measure and notebook, the builder – also complete with tape measure and notebook, the electrician – notebook but no tape measure, and the delightful owners. When a friend of the owners drops in a little later, Monsieur decides it is time to produce aperos (drinks and nibbles) for all and so we sit amidst the boxes and piles of belongings waiting to be packed and chat about all sorts of things in a mixture of French and English. French apero hours really are the best. Happily, soon, the notebooks are filled with measurements, plans are made and, as we take our leave, I remind myself and the client how lucky we are to have a set of reliable and trusted tradesmen to carry out the work that will ensure that the house really does become his dream home. Our second set of clients have popped across for a couple of days to visit the cosy stone- built cottage which is set to become their own in less than a month. Thankfully, this time the owners are English and there is no work to be done so the clients are able to visit the house by themselves to discuss important matters such as heating systems, log suppliers and also negotiate to buy several items of furniture. Buying items from the existing owners is something that I always suggest to my clients. This time both sets of clients have saved a good deal on the expensive business of furnishing and equipping their holiday homes. 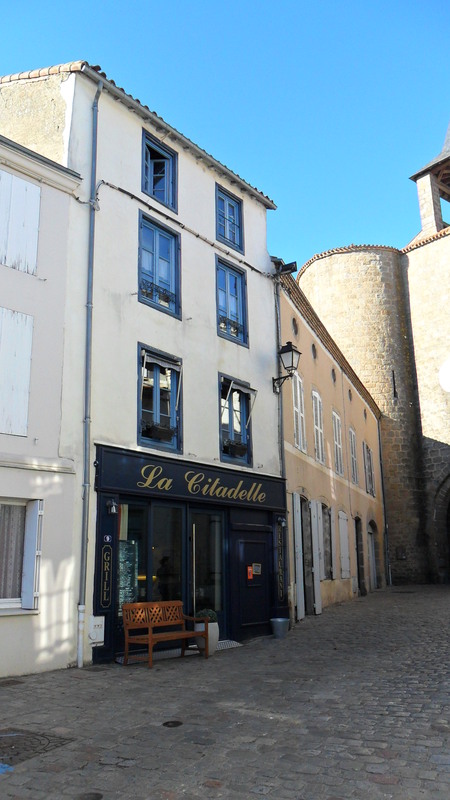 Tuesday evening sees us relaxing over a meal in our favourite restaurant – La Citadelle in Parthenay – with the second set of clients who are already planning to book a table to celebrate the signing of the final contract next month. Sounds like a great plan to me! 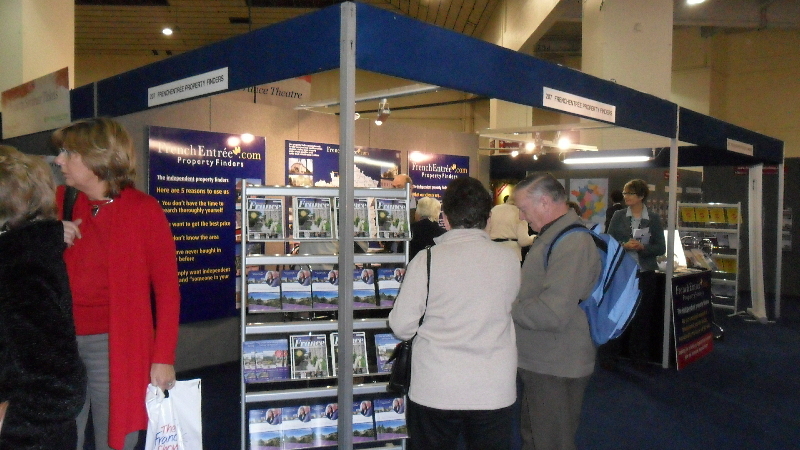 Thursday afternoon’s visit was a meeting with some lovely people I talked to at the France Show in January who are looking to buy a holiday home in the area. No problems with this one – clearly a business meeting rather than simply enjoying myself tootling about in the Marais Poitevin. However, when the Other Half proposed a visit, this time in the rain, on Saturday afternoon and ensured me that it would definitely count as research I must admit I was a little suspicious. We both love living in the Deux –Sèvres, wouldn’t change it for anything but there’s obviously the odd thing about the UK that we miss. In Andy’s case it’s beer, and this is where the research comes in. 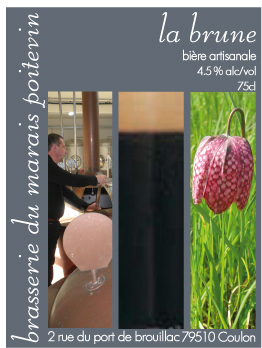 In the centre of Coulon we visited the Brasserie du Marais Poitevin, a small organic brewery built on the site of an ancient dairy. 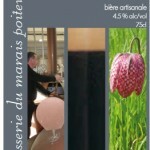 Using the wild hops grown locally on the Marais Poitevin and organic barley, the brasserie produces a range of beers from a lively blonde- similar to a lager – through to a dark ‘bier brune’ with flavours of coffee and a hint of chocolate which the men in our party assured me was like a quality real ale. 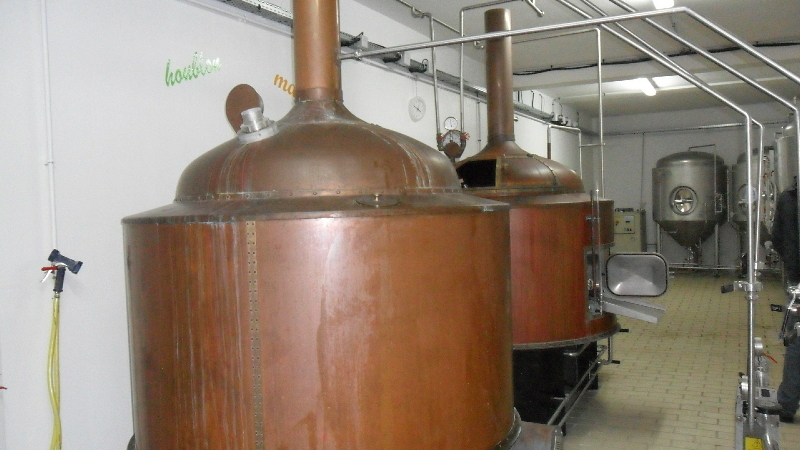 The brewer who explained the history and process to us clearly had a real passion for his art and was more than happy to answer questions. Inevitably, we bought a bottle or six and, as the Other Half pointed out, it’s great having a good source of ale close at hand -not to mention another interesting place to take visitors. What has Coulon got to offer? 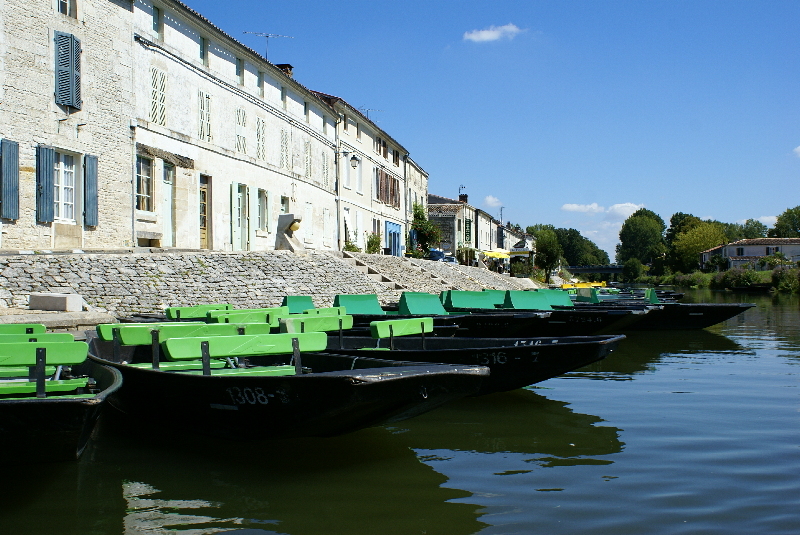 Well, apart from the scenery, the gorgeous stone houses, the kilometres of waterways that you can explore by boat, on foot or on cycle, a host of wildlife and some lovely restaurants , Coulon also has….beer! Enjoy. 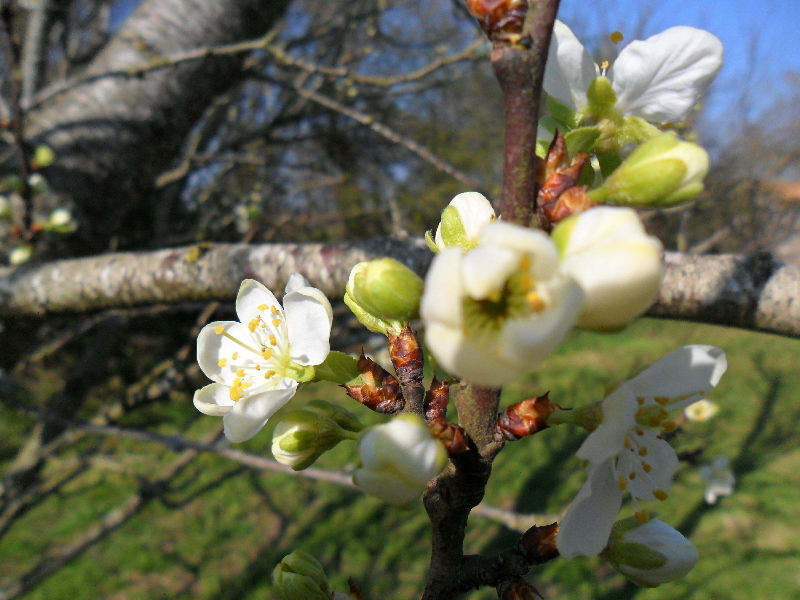 It’s official- spring has definitely come to the Deux– Sèvres, it’s arrival signalled by longer, sunny days, vibrant spring flowers and clouds of blossom. Joining the tree frogs, butterflies and spring lambs are other visitors. The higher temperatures and Easter break mean that lots of holiday home owners make their first visit of the year in spring. 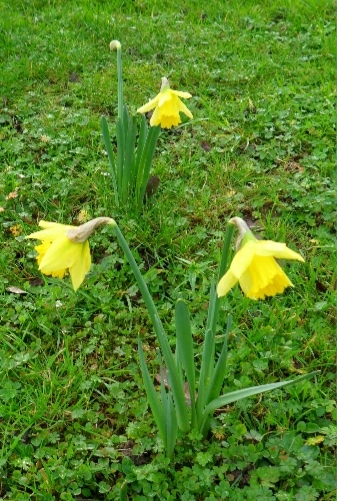 For us, it means the chance to welcome back our clients – many of them now also friends- and a busy round of preparations as we make sure that houses and gardens are looking at their best after the winter. 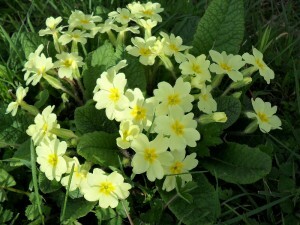 It’s a hectic time as grass and weeds begin to sprout and the spring sunshine shows up every cobweb and speck of dust. At this time of year, we don’t make a move without consulting the PPS diary and, looking ahead, I note that we’ve already got entries right through until the middle of September. We’re certainly not grumbling though, it’s good to get out and about after the quieter months of January and February. On the property finding side, things are also starting to get moving as potential buyers arrange trips to look for their ideal home. Although the swallows may not have arrived just yet, we’re seeing an increasing number of purchasers journeying from the other side of the world to buy in France. Last Monday afternoon saw me out and about in the lovely little market town of Ruffec to meet with a client from Melbourne who was looking for a traditional cottage. I know from speaking to colleagues that increasing numbers of buyers from Australia are looking to buy now to take advantage of the exchange rate between the Euro and the Australian dollar. Like my client, many of them are drawn by the traditional stone -built properties, mild climate and unspoilt countryside of the Poitou Charente. So….diary at my side , it’s time to ‘spring’ into action. 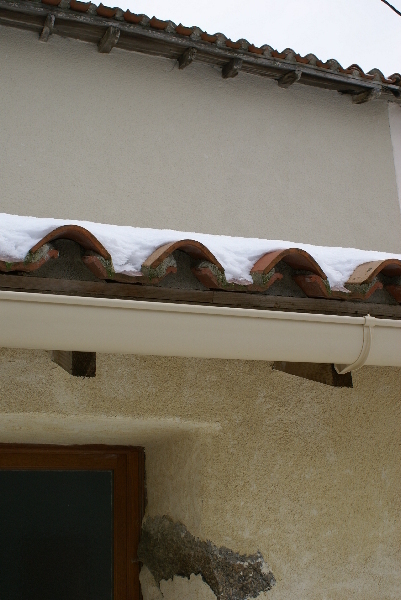 Even though we don’t get such extreme weather often in this part of France, it can have potentially dire consequences if you own a holiday home. 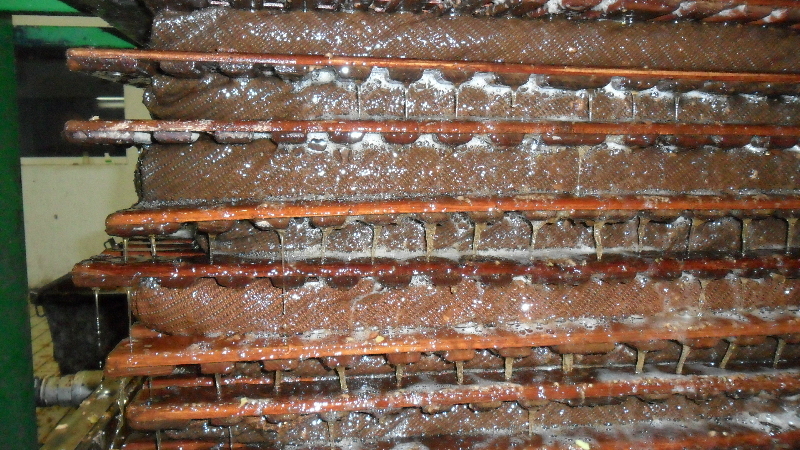 Problems can range from broken guttering to missing tiles, leaking pipes and occasionally we’ll find that small furry creatures have taken up residence in the comfort of an unoccupied house. So, this week, we’ve been wrapping up well and setting off to check on the properties we manage for clients in the UK. Each one has its own quirks and it’s critical that we’ve already spend time getting to know these and knowing where the water mains and fuse box are located. Being on the spot means that we’re here to deal with any problems that the icy temperatures might have caused and, like the Pony Express, we try to get through to our homes, whatever the weather. After a trip out on Monday when we spent the morning checking out some seriously cold houses, I’ve decided that two pairs of socks and furry boots are essential for survival and now always check that I’ve remembered to pack the flask of coffee. Fortunately, we didn’t uncover any serious problems with either buildings or wildlife, although we did notice a cracked gutter in one cottage and took some photos to send to the owners. Back home this afternoon safe and sound, I snuggled up in front of the log fire and sent e-mails reassuring our clients that all is well. Reminding myself that we live in the second sunniest part of France, I spend the rest of the day with my seed catalogues looking forward to the prospect of days spent gardening, for both ourselves and our clients before too long. I’m always more than happy to extol the virtues of La Vie Francaise. In fact, the other half frequently has to give me one of his ‘looks’ when I overdo it. He claims that he can hear faint strains of accordion music when I get into full flow but I think he’s just succumbing to stereotypical notions. As you can imagine, I was in my element at the show talking to so many people whose enthusiasm for France matched my own. There was no sign at all of the doom and gloom that seems to be a staple of so many media reports on the state of the UK economy. 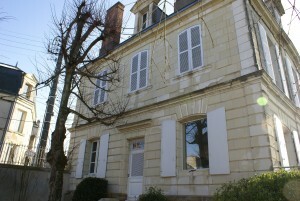 On the contrary I, and my fellow property finders, met numerous clients who were fully committed to the prospect of owning a French property and had decided that 2012 was the year to buy. I spent a thoroughly enjoyable weekend describing the typical stone built properties to be found in the lively towns, peaceful countryside and quiet villages of my area. After numerous discussions about the attractions of the sunshine, the cuisine and the lifestyle I was more than happy to board Eurostar and head for my own little place in the sun. 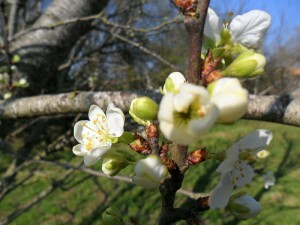 Here, in the Deux-Sèvres department of Poitou Charente, spring usually arrives early. 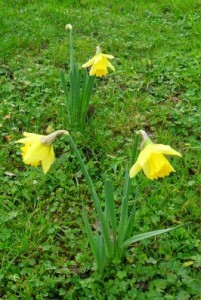 On New Year’s Day I was amazed and delighted to see that our first daffodils of 2012 had already burst into bloom! Grabbing the camera, I rushed outside already anticipating working off the excesses of Christmas, getting out in the fresh air and starting to get the garden ready for spring and summer. Sadly, like much of Europe, we then had a few days of high winds and rain so the plans had to be put on hold. Today, however, we have a lovely clear sunny morning so it’s on with the wellies and out to finish the tree pruning and finally decide where to dig that pond. When part of your job involves maintaining other people’s gardens, it’s all too easy to neglect your own so I’m going to make the most of this afternoon’s sunshine chez nous. I absolutely love visiting The France Show. With masses of stands offering professional advice on all aspects of La Vie Francaise and plenty of opportunities to sample the wine and cuisine, it’s become one of the highlights of January for me. This year it’s on from the 13th – 15th of January so, next Friday morning, I’ll be catching the Eurostar and heading for Earl’s Court. 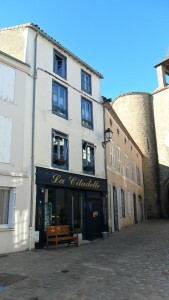 For me, the show is a fantastic opportunity to meet and help people who want advice about buying in France. 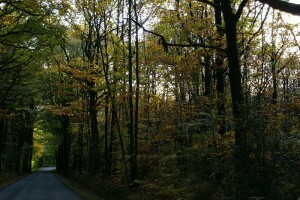 Describing the many hidden delights that my part of the Charente has to offer is always a real pleasure . 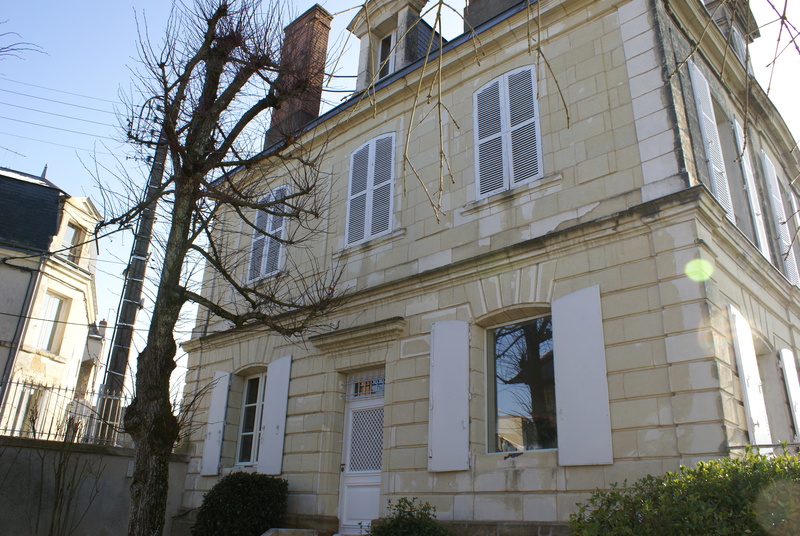 For those who want to learn a bit more about this area of France, my latest article appears in the January edition of French Property News which will be available at the show and at newsagents all over the UK. 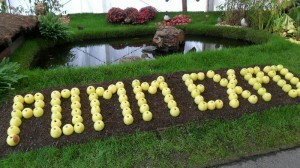 I hope you get the chance to have a look at it and, if you’re at the show, come and have a chat with me on Stand 207. So you’ve found your ideal property in France, be it holiday home or permanent residence,and you’re already planning where to put the furniture. Suddenly, you’re faced with all sorts of things to organise: insurance, banking, local taxes and utility bills all need to be dealt with. If you’re making a permanent move here ,there’ll also be health care, the dreaded income tax forms, car insurance and registration, schooling if you’ve got a young family and a host of other paperwork to sort out. The French are famed for their love of bureaucracy and it’s vital to ensure you get it right first time- mistakes can cost both time and money. If you speak the language well then you’ll usually be able to navigate your way through. However, if :a) your French is of a basic standard and/or b) you found the terminology of official documents bewildering in the UK, it’s a fair bet that you’re going to be in urgent need of help when faced with their Gallic equivalents! As a fully qualified translator who has over ten years experience of translating legal, corporate, social and economic documents from French into English, Alison is well placed to advise you. 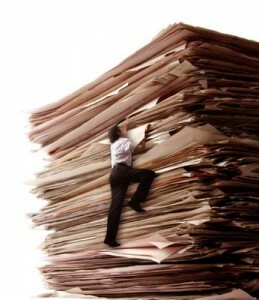 If you prefer to deal with paperwork in a language you understand, I suggest you get in touch. All this means, of course, that I’ve got a great excuse to cuddle on the sofa spending cosy afternoons reflecting on the events of the summer and getting down to some intensive work on the novel. Well….you’d think that’d be the case. However, for me, the start of autumn has heralded an unexpected burst of activity on the Property Finding front. The ‘season of mists and mellow fruitfulness’ has, so far, seen me speeding down country lanes, tramping through fallen leaves and busily chasing up properties for several clients who are really keen for me to find their ideal home in our little corner of France. Whether this unseasonal burst of interest owes much to the fact that our region – Poitou Charentes -has recently been listed as one of the Top 10 Regions to Visit by the Lonely Planet Guide – alongside exciting locations such as Borneo, Nova Scotia and the Mayan trail in South America, I can’t say. 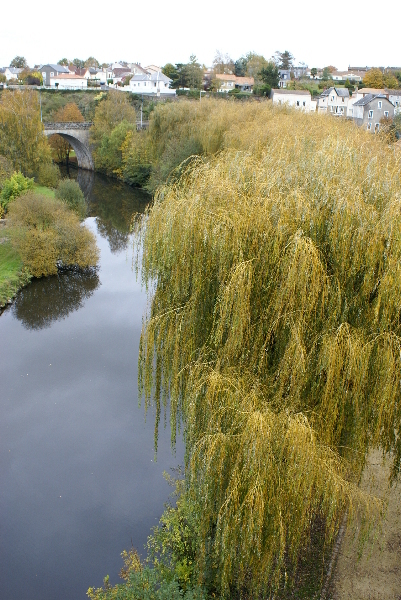 It certainly looks, however, as if more house hunters are waking up to the hidden charms of the area, realising that our peaceful countryside with its gently flowing rivers and warm micro – climate can provide a great lifestyle at prices that are still lower than the national average. That said, it’s time to get off the sofa, enjoy a quick coffee on the terrace then back into the car. This time I’m en route to a village which not only has a nice little stone cottage for sale but also a baker who produces the best almond croissants I’ve ever tasted. Obviously, I shouldn’t even think of buying any but…in the interests of supporting the local boulangerie…it would be rude not to! 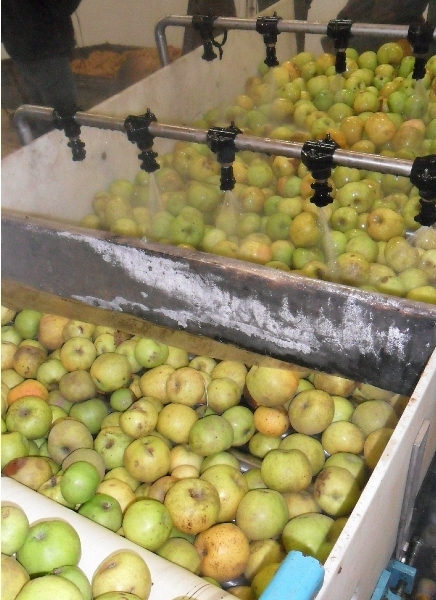 As someone who loves to experience new aspects of French life, I was sorry to be missing out on the chance to sample the delights of apple pressing. Fortunately my Other Half stepped into the breach and what follows is Andy’s account of an experience which began when the alarm went off at stupid o’clock on a still-dark Saturday morning. When friends in the UK talk about you moving to France they’ll commonly assume that you’re surrounded by vineyards and be quaffing the local wines. But in this part of the Deux-Sèvres department known as the Pays de Gâtine it’s rows and rows of apple trees that dominate. 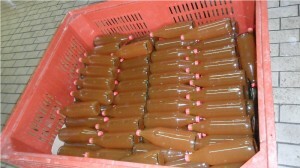 So it was an interesting experience to see how those apples get turned into bottles of freshly pressed juice. This last weekend good friends of ours Kath and David asked me to lend them a hand in pressing and bottling their ten crates of apples. It was an early start on a misty Saturday morning with a 7:30 a.m. appointment at the local co-operative Doré de Gâtine just outside Secondigny. It’s a very hands-on task with only minimal supervision from the staff as you move amongst all the equipment – surely a Health & Safety Executive inspectors nightmare but here in France it’s just a case of mucking in and getting on with the job. Our crates of apples were duly transferred into one large container and the contents tipped onto a conveyer belt where they are washed and then ground into small pieces, a process known as scratting. 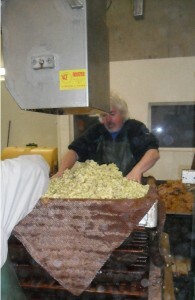 On the press we had to lay out hessian sheets and drop in the scratted apples from the hopper. The sheet was then folded over to make what was effectively an apple parcel and a wooden slat placed on top. Each layer was built up in same fashion. The electric press applied several tons of pressure to squeeze the golden juice out into a tank. 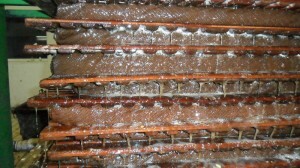 We had a sip of that pressing as it came out of the pipe, delicious and sweet. 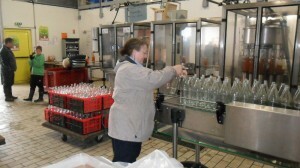 The bottling process is fully mechanised but again we had to work hands-on at either end of the production line; placing bottles onto the conveyer belt at the beginning and unloading them off the turntable at the end into another crate. 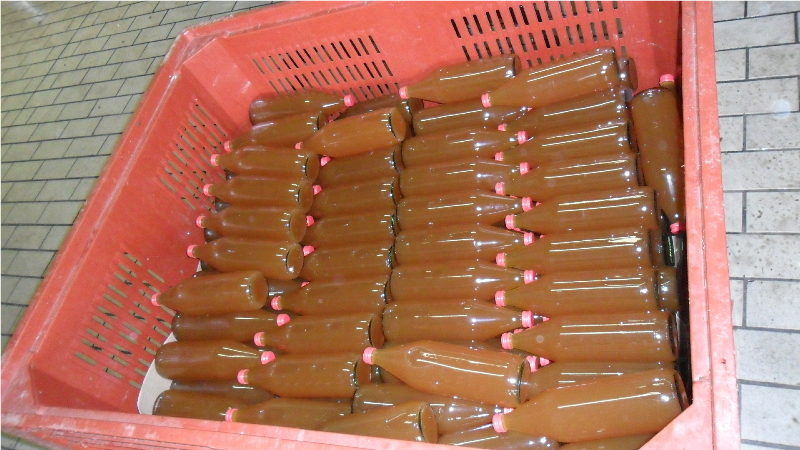 The bottles are cleaned and sterilised at a high temperature so they come off filled with apple juice but red-hot to the touch so gloves are an absolute necessity. 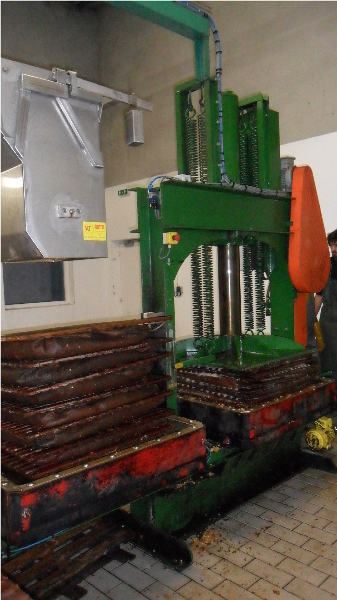 We’d been told to expect about 150 litres of apple juice but in the event we watched the counter move up to 173. Not bad for half a mornings’ work. Coming in at just under a euro per litre, less if you return and re-use your bottles from last year, that’s pretty impressive value for organically produced apple juice. Even more so when you know it’s from your trees and that you’ve pressed and bottled it. Next year David is keen to use those apples to brew some homemade scrumpy. Here’s to the next harvest! Whether it’s my abiding interest in human nature, fascination with psychology or simply sheer nosiness (as my other half calls it), I love to know what motivates people. As a Property Finder, it’s vital I develop a deep understanding of what makes my clients tick if I’m to find their ideal place in France. Last week, I indulged my interest – you know how I love “research” – and did a straw poll of UK friends who’ve made the move to France. I wanted to find out their top reasons for coming here to live. Unsurprisingly, food, wine, lower house prices and better weather featured strongly. Keen to know more, I then tried to dig a bit deeper and unpick what people meant by their most popular response: “a better quality of life” – something France is always rated highly for providing in official polls. As it turns out, a lot of what people seem to mean when they talk about quality of life was illustrated graphically – and with added fireworks – during the fourteenth of July holiday to celebrate the storming of the Bastille. 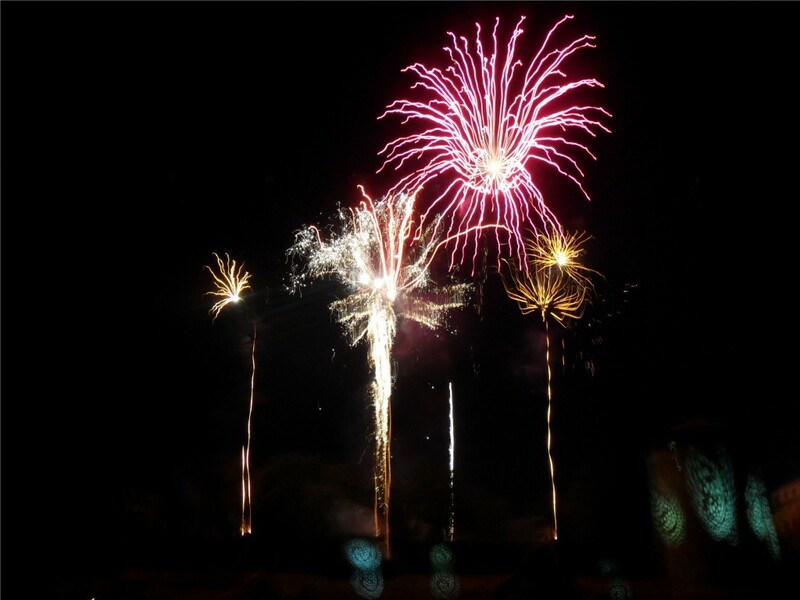 Having spent a happy four to five hours last Thursday afternoon with local villagers in our Salle des Fêtes indulging in the food and wine element of the French Dream, we set off into Parthenay to meet some English friends for the evening fireworks display. Armed with folding chairs, picnic and, yes, the inevitable bottle or two of wine (well, when in France…) we made our way down by the river finally coming to rest facing the ancient medieval ramparts. As dusk began to fall, increasing numbers of people arrived to listen to the live bands, dance, picnic or simply chat with friends and family. Every age range was represented: from Great Grandmas perched slightly stiffly, knees apart on folding chairs to groups of cool teenagers in the latest fashion and excited toddlers rolling around on the grass. Between two and three thousand people and yet….no police presence! It simply wasn’t needed. And that, as my friends pointed out, was what they loved about living in France. The feeling of safety that they, and their families, enjoy at social events. The respect that exists for the elderly and, not least, the freedom to let their children out of their sight without the worry that something awful might happen at any minute. (There’s no suggestion that crime doesn’t happen in France but, here in the more rural areas, people still happily leave their barns, and often their houses, unlocked while children are free to play in a way that is reminiscent of 1950s England). The firework display itself was a simply stunning combination of colours and shapes, superbly coordinated with both Latin American music and opera – they really do know how to celebrate in France. And, as most people packed up to leave, our friend David pointed to the lack of litter and the long queue of people winding its way patiently back along the riverside. When a first aider asked the crowd to allow someone in a wheelchair through, people simply moved over without having to be asked twice and there was no pushing or shoving. So, there you have it, one example of the quality of life in France. Next year is the millenium celebrations for Parthenay and the quatorze juillet promises to be even more spectacular. I’ll personally be counting the days although, before then, there are numerous fêtes advertised and I really ought to attend. All in the name of research…. !